Zimbabwe Republic Police (ZRP) officers have been urged to prepare for the forthcoming 2018 harmonized elections to ensure peace and tranquility prevails in the country during and after the plebiscite. Speaking at the official closing ceremony of the Commissioner General of Police Sports Gala today in Harare, Commissioner General of Police, Godwin Matanga said police are drivers of peace in the country hence the need for them to be fully prepared to police the nation during elections. “This might call for some of you to work for extended hours and to also forgo time off and leave; but the desire to put our motherland first before self comfort should drive you to work even harder,” said Matanga. 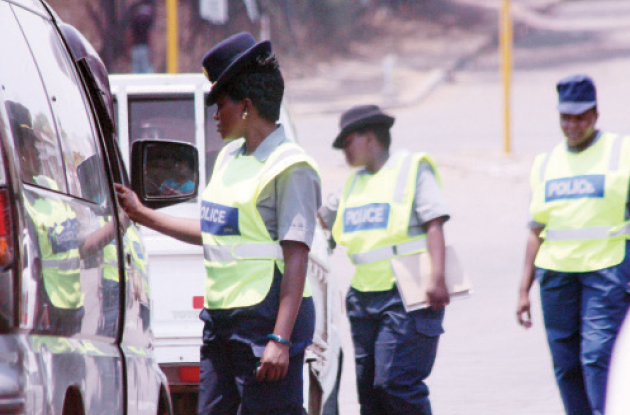 He added that in line with President Emmerson Mnangagwa calls for a shift from the way duties were carried out in the old order, they have launched a number of police patrol units across the country to ensure that they embrace the renewed impetus and work ethic. “I am happy to say that we have launched a number of police patrol units across the country and I am sure with the level of fitness showcased here, the units shall be more vigorous, the citizens of Zimbabwe demand to see us being visible day and night, in streets and crime sports. This bolsters their confidence in our services and ultimately reduces fear and commission of crime,” added Matanga. The sporting extravaganza had been going on the past seven days and served as dress rehearsal for the much coveted 10th edition of the Southern Africa Regional Police Chiefs Co-operation Organisations (SARPCCO) games.